Police called to QuikTrip on 51st Avenue near Interstate 10 Sunday morning. PHOENIX — A 44-year-old man is dead following a crash early Saturday morning near I-10 at 51st Avenue. 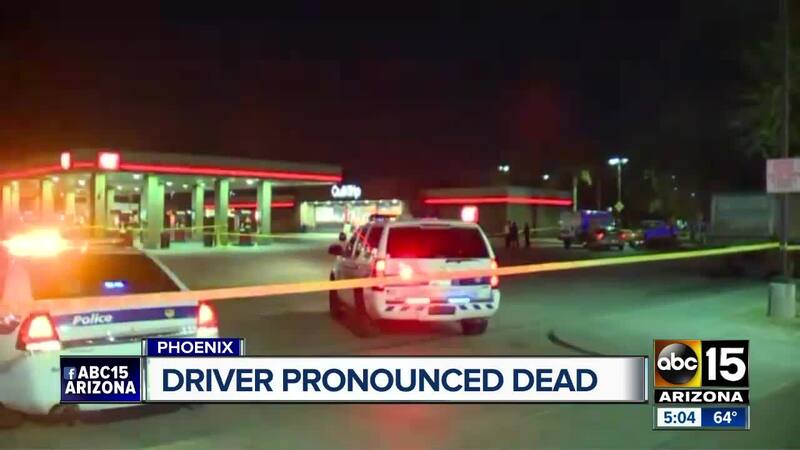 According to Phoenix Police, Gerardo Aguirre was driving his Chrysler 300 into the parking lot of a QuikTrip near the aforementioned location when he "suddenly accelerated and collided into two unoccupied, parked vehicles." Police say Aguirre was found unresponsive in his car. Aguirre was taken to an area hospital where he was pronounced dead, according to police. Though the investigation is ongoing, police believe Aguirre suffered a medical incident prior to the crash.